Social media is a part of seemingly every conversation on every topic. And university recruitment and retention is no exception. 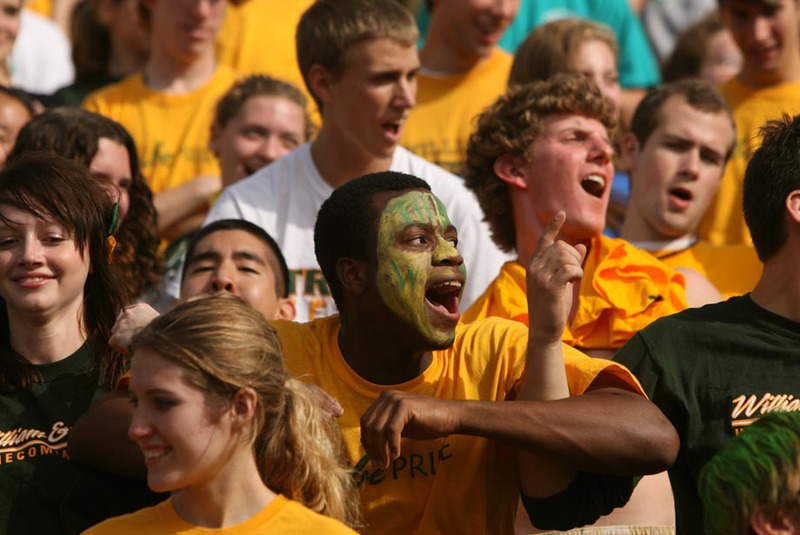 At the College of William & Mary, a great amount of emphasis is placed on creating experiences students want to capture and share with other prospective students via social media. David Joiner, director for global engagement and leadership at the University of Wisconsin-Madison, said that social media gives students in other countries, as well as their stakeholders — those who would be footing the bill for their education — an opportunity to see what life as an American student would be like before they arrive in the states. He emphasizes a need to create experiences for students that they will want to be associated with and share with others via their online identities, noting that the best ambassadors are the students. “There’s always an opportunity to tell your story. And the best way to tell your story is on social media platforms. … You think about how do you provide international students with high quality experiences … that can be captured by cell phone cameras. Students build their online identities through social media,” Joiner said. “The Web is opening up access of information globally. … There’s increasingly greater access to the Web, even in places where the resources aren’t there,” said Clay Hensley, director of international strategy and relationships for the College Board. For example, under the leadership of Joiner, whom Hensley praises, UW-Madison has been enormously successful recruiting applicants in China, where most social media sites are restricted, except via mobile devices. There is a different kind of access; mobile devices are now equipped to access Web communication,” Hensley said. “Barriers aren’t quite as strong” on mobile platforms. “An important aspect of social media strategy is to think through the structure of activities so that students who are participating have an opportunity to capture those pictures and share them on their social media platform of choice,” Joiner said. Matt McGann, director of admissions at MIT, recognizes that “MIT is kind of a brand name” university, and the school sees way more international applications than enrollment numbers can accommodate. MIT’s problem, he said, is in diversifying the geographic make-up of the applicant pool. Though conscious efforts have been made to embrace video, Facebook and wikis; for MIT, the most effective use of Web 2.0 platforms has been open forum, open comment blogs written by both students and staff. McGann said that approximately five years ago, “we started doing blogs as a relatively small effort. Over the next few years, we’ve expanded it to be really the centerpiece of our communications. A lot of institutions are concerned about so much freely created, unmonitored content that is not first screened by the central media relations department. But Broaddus said this is not necessarily something to fear. McGann agrees, saying that for an institution like MIT, it is important to administration that students attend the school because it is a good fit for both the student and the institution, rather than because they are attracted to its big name. To facilitate this, allowing the free exchange of information is essential. “The exciting thing about social media is there’s this opportunity that’s still pretty new to have even wider reach at what is ostensibly lower cost,” said Broaddus. The “ostensibly lower cost” is key for institutions like MIT, which have absolutely no international recruitment budget. “While we’ve tried a number of technologies, we’re going to focus on what has worked for us. And we’re not going to get upset that we’re not on every new technology that’s out there. I don’t think every school needs to be on every social media platform,” McGann said. Broaddus also emphasizes the need for proper planning before just jumping on every network, but he is an avid believer that the best strategy is just growing with the media and meeting students where they are. “I think social media is still new enough that it’s almost better to be engaged in an experimental phase than to be mired down in strategy,” Broaddus said.